Contact Closure Over IP boards uses a simple contact closure to trigger a relays over your network. 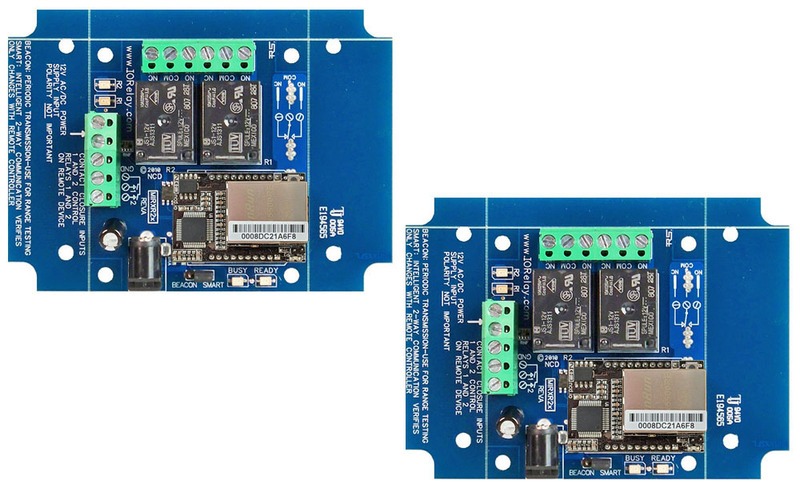 Control a relay remotely with our popular MirC or MirX controllers that have separate boards in separate locations that work together as a married pair over a network connection. Control from a contact closure input and send the command to the receiver board over your network of over the internet. The MirC & MirX Relays are an ideal choice for IP contact closure switching. The boards can communicate between offices, buildings or cities! If wireless or running a cable is not an option and Ethernet (or Wi-Fi) is available the MirC & MirX can do the job. 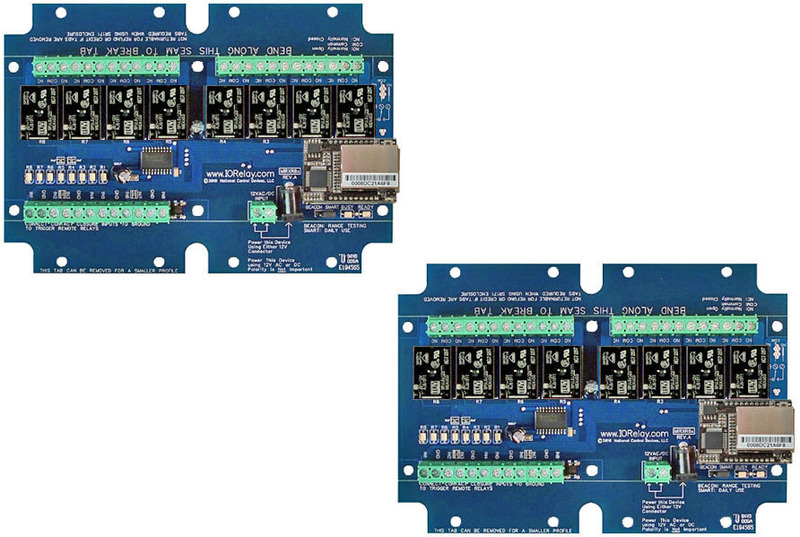 Contact Closure Over IP boards are available in two different varieties for different applications. The MirC has contact closure inputs on the sender board that control relays on the receiver board. 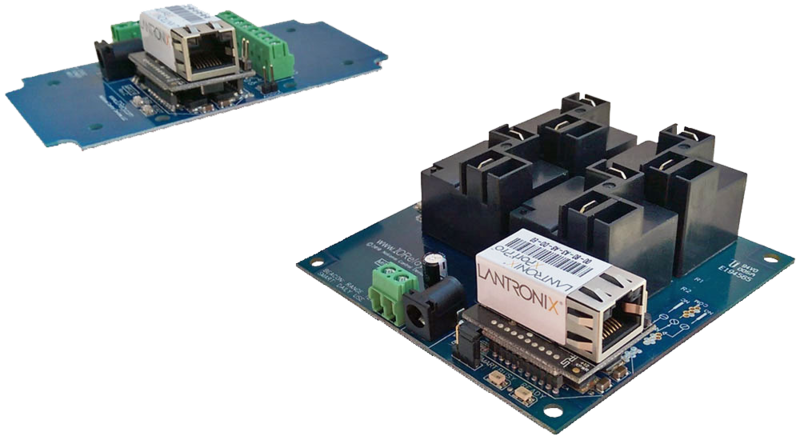 The MirX boards have contact closure inputs on both boards and relay on both boards and the inputs control the relays on the opposite board. Choose which version fits your needs below. 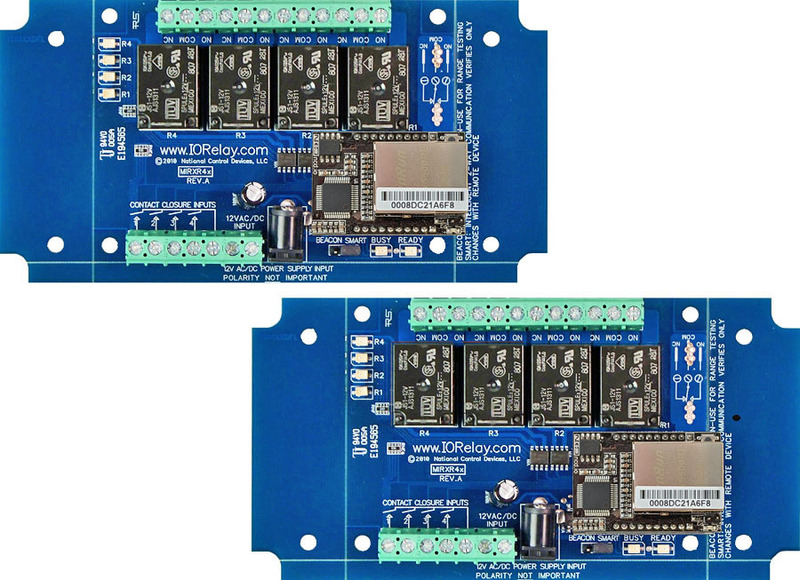 MirC controllers allow contact closure inputs to control relays in a remote location using a two board design. The sender board is equipped with contact closure inputs, used to control relays on the receiver board. Both boards are included when you purchase a MirC. 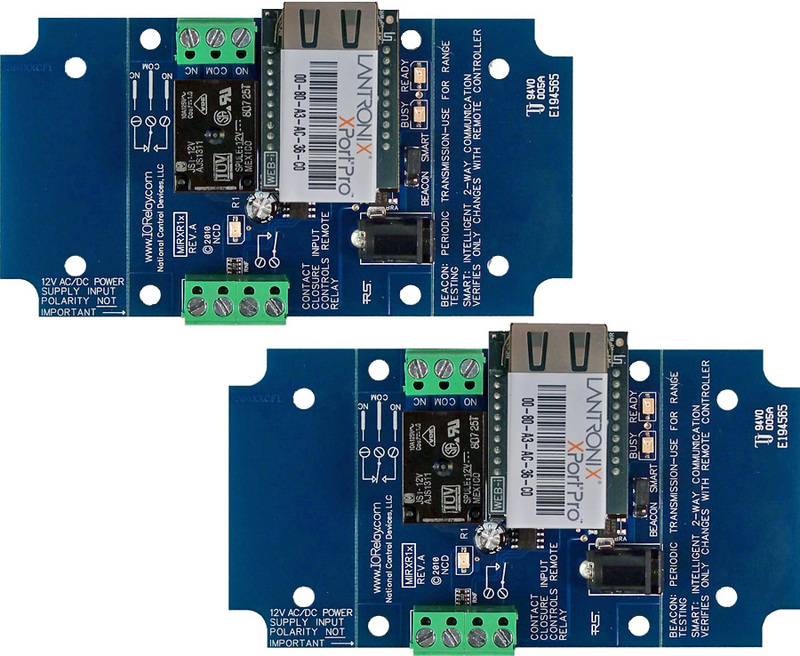 MirX controllers allow contact closure inputs to control relays in a remote location using a two board design. Both boards are equipped with contact closure inputs relays, the inputs on the sender board controls the relays on the receiver board You will have as many inputs as relays so each relay can be individually controlled. Both boards are included when you purchase a MirX.